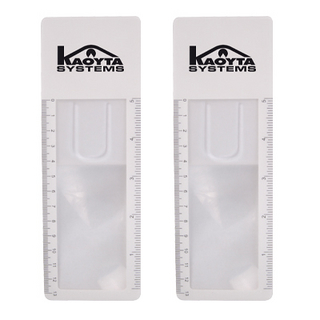 Features 13cm (5') ruler & magnifying lens with white frame. Maximum 2 colour print. Second sided print not available. 3x magnification.